I like chocolate. It isn’t my favorite sweet treat, but I do enjoy a bit of chocolate now and then. 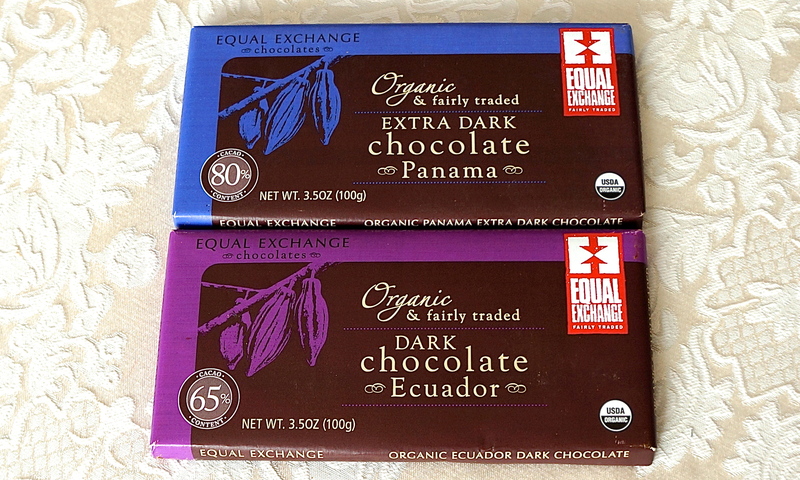 I prefer dark chocolate, especially somewhere around 70-75% cacao, since the bitter notes taste better to my palate. Plus, I can justify indulging a bit knowing that the higher cacao content means less overall sugar and a higher antioxidant profile. But even when I am indulging in a treat, I want it to be of the best quality with few or no harmful ingredients. I am also always on the hunt for soy-free chocolate white. Soy contains high levels of phytic acid, an anti-nutrient that binds with minerals and prevents them from being assimilated during digestion. In other words, eating soy products can keep you from getting all the minerals you need from the food you eat; instead of a health food, soy can deplete your health. Soy contains trypsin inhibitors which can interfere with protein digestion and absorption. Trypsin inhibitors can prevent normal growth, so children are especially susceptible to soy’s dangers. Soy contains phytoestrogens which mimic the body’s natural hormones (especially estrogen) and disrupt their function. Disrupted hormone function can lead to problems with sexual development in children, infertility, breast cancer, and thyroid disfunction. While soy contains vitamin B12, it is not easily absorbed or utilized by the body and can increase the body’s need for B12 instead of satisfying its requirements. Soy increases the body’s need for vitamin D.
The processing of soy denatures its proteins and can form highly carcinogenic compounds. MSG, a potent neurotoxin, is often formed during soy processing. You may be surprised to hear that soy products are not the health food that many Americans believe them to be. After all, we have been told for years (decades?) that meatless diets rich in soy will keep us from all sorts of health problems. The truth is, though, that soy products were never meant to be a staple of any culture’s diet, and those cultures that include soy do so by preparing it in a traditional way that neutralizes its negative components (read more about that here). 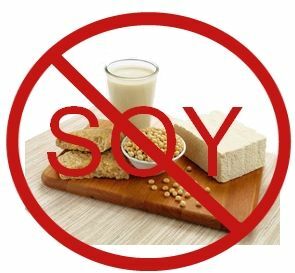 Not only is soy not healthful, it is harmful to many who have serious soy allergies, and it is ubiquitous in our overly-processed Standard American Diet. You’ll find soy flour in many store-bought breads, soybean oil in salad dressings and restaurant food, and soy lecithin in most chocolate-based candies, not to mention the soy sauce, tofu, and edamame-laced food that lines grocery store shelves. Add that to the fact that conventionally raised livestock and poultry are often fed soy-based products that are decidedly not part of their natural diets. Soy is everywhere. Now, I’m not saying that I never eat anything with soy in it. I like gluten-free tamari, an occasional cup of miso soup, and maybe even some whole edamame now and then. I seek out and buy only GMO-free soy products (organic is really the only way to ensure this), and they are occasional entries into my soy-free eating habits. My problem is with the crazy overuse of soy products when studies show that its regular consumption can be very harmful to one’s overall health. Now, this post is supposed to be about chocolate, right? Well, finding chocolate that doesn’t have any soy in it can be darn near impossible. 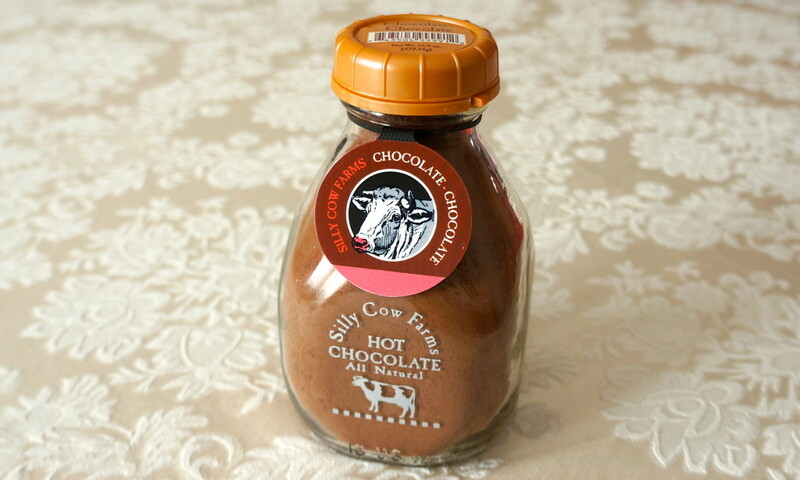 Soy lecithin is often used in chocolate as an emulsifier, which keeps the cocoa and cocoa butter from separating and results in a creamier, more consistent texture. Sounds good, right? According to Kaayla Daniel, an expert on all things soy, “Soybean lecithin comes from sludge left after crude soy oil goes through a “degumming” process. It is a waste product containing solvents and pesticides and has a consistency ranging from a gummy fluid to a plastic solid.” It is also extracted using hexane (a colorless liquid that is a major constituent of gasoline) and bleached to make it lighter in color. Yikes! Do you really want that in your delicious chocolate? Even if I wasn’t aware of soy’s dangers, this description of lecithin is unappetizing and quite disgusting. But have no fear! It is possible to find excellent chocolate that is soy-free. 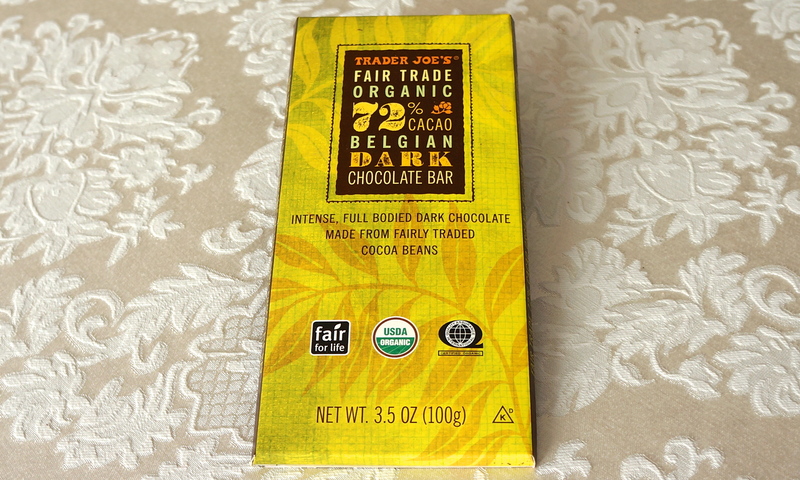 Believe it or not, there are several brands of chocolate that I have found in regular grocery stores as well as in health food stores and more health-minded grocery stores like Trader Joe’s and Whole Foods that are made without any soy. 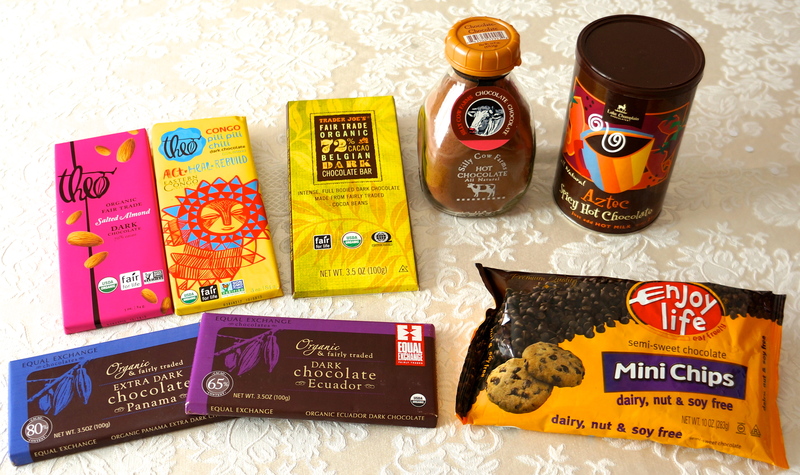 Below are my picks for some of the best tasting soy-free chocolate around. I’ve included my favorite brand of chocolate chips (the only one, in fact, that I have ever seen that contained no soy lecithin), several chocolate bars, and two types of hot chocolate mix. 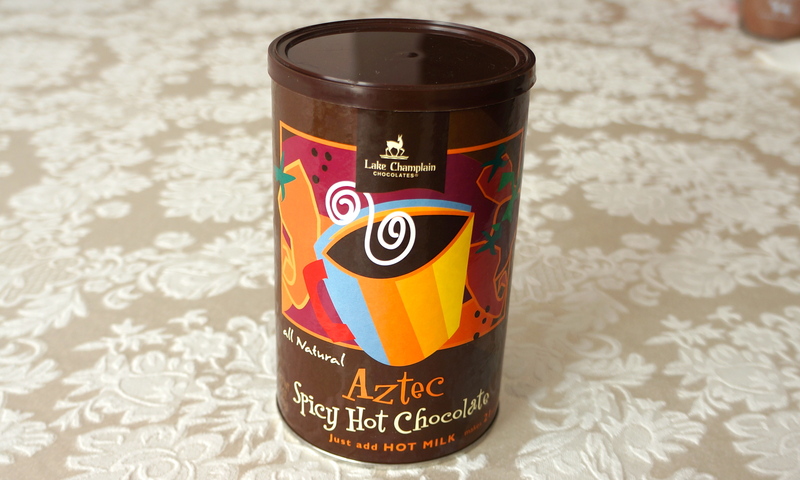 You’ll notice that one of the bars and one of the hot chocolate mixes has some chili in it–I do like it spicy sometimes! If nothing else, I hope this encourages you to begin reading labels and discovering what is in the food you are eating. A few years ago I wouldn’t have thought twice about buying any chocolate that looked good; now I take great care to read the ingredients list to see what’s inside the wrapper. I probably put more products back on the shelf than I do in my shopping cart, but I feel good about what I am feeding myself and my family. May you enjoy some soy-free chocolate today! And please leave a comment below if you have a favorite soy-free chocolate that is not listed here. This post is linked to Tasty Traditions, Party Wave Wednesday, and Real Food Wednesday. What if the dark chocolate I’m eating doesn’t list soy in the ingredients but says “may contain traces of wheat, milk, peanuts, tree nuts and soy”. Should I be concerned about that? Unless you have a soy allergy or intolerance, I wouldn’t worry about it too much. Manufacturers have to label their products that way in case there is cross contamination, but there shouldn’t be a significant amount of soy (if any) in your chocolate. Nestle Dark Chocolate Morsels (0nly 53%) have no soy. THank you fro this post. @Nancy and all – please boycot Nestle products! Nestle gives formula to mothers in developing countries in africa for free, just long enough for their breast milk to dry up and then charges them for the formula. Breast milk is so much better for all babies and especially these babies where the mothers don’t always have access to clean water to mix the formula. These women do not have the money for formula and then don’t have breast milk for their babies – it is awful! Thanks for your comment, Chris. It is good to know whether a product or brand (even a “healthy” one) supports causes that we don’t necessarily want to support. And I agree that breastmilk is best for babies :). I just purchased some hollow chocolate eggs from Costco made by the french company “Cemoi.” The ingredients are listed as: sugar, cocoa butter, whole milk powder, unsweetened chocolate, lactose, sunflower lecithin and polyglycerol polyricinoleate (emulsifiers), natural vanilla flavor. *contains milk. Made in a facility that also uses gluten (from wheat) and tree nuts. I assumed that this product does not contain soy, since it is not listed in the ingredients, but then I was thinking maybe soy is in the “unsweetened chocolate.” I tried to contact the company, but cannot find contact info. Any insights as to whether this may contain soy? I was so excited to find these, since I have a major thyroid and hormonal issues and am trying to avoid soy like the plague. Any insight anyone has would be greatly appreciated. I would say that this does NOT contain soy. Unsweetened chocolate is just that: 100% cacao. Also, soy is not listed on the label as an allergen (just like the milk is), so I would say it is soy-free. However, if you are dealing with thyroid and other hormonal issues, the dairy in this might further disrupt your hormones. A good quality dark chocolate (70-80% cacao) typically won’t have dairy, and there are several brands that don’t include soy or other emulsifiers. There are definitely better, and healthier, choices out there. Thanks for responding:) I appreciate the information. Is sunflower lecithin unhealthy as well? From what I’ve read, sunflower lecithin is cold-pressed and typically made from non-GMO seeds, whereas soy lecithin is extracted through a process that involves chemical solvents. I think it is a better option when possible, and especially when someone needs to avoid soy for health reasons. You’re welcome, Parisa! 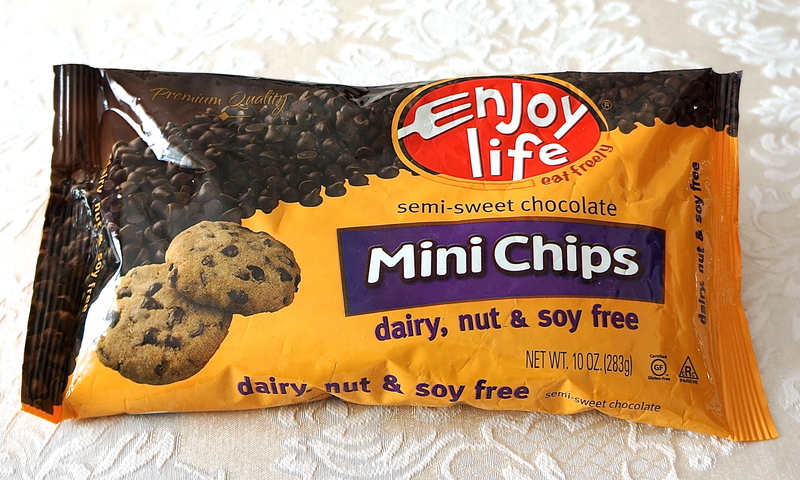 And thanks for the additional soy-free chocolate choices–I’ll have to check those out. Another wonderful soy free find is Guittard Chocolate chips in milk chocolate, dark and semi sweet. They are absolutely wonderful. Yes! 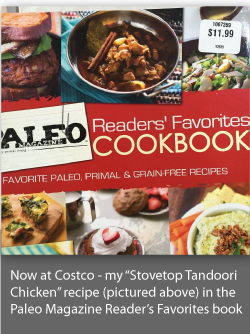 I love that they use sunflower lecithin instead of soy, and they have a great texture and flavor. Thanks for reminding me about them! Read about your blog that Soy is not good for little girls. Can you please elaborate more on the foods that has to be avoided for little girls. I have to girls 5 and 8. I think it’s more important to focus on what will help little girls (and boys) grow to be healthy, strong people. Real, whole food that includes protein from grass-fed and sustainably raised animals, lots of fresh fruits and vegetables, nuts and seeds, healthy fats (like olive oil, all coconut products, lard and tallow from grass-fed animals, and butter and ghee from grass-fed cows), and traditionally prepared (soaked, sprouted, or fermented) grains and legumes. Soy is one food that is often very processed and the risks outweigh the benefits in my opinion. I would be wary of conventional dairy products and meat/poultry from conventionally-raised animals as well since they likely have been given antibiotics and growth hormones that can then disrupt the hormones of growing children. Getting the best quality food that you are able to afford is a big step in keeping kids healthy. Are there any dark chocolate candy bars without soy/dairy/and cane sugar? 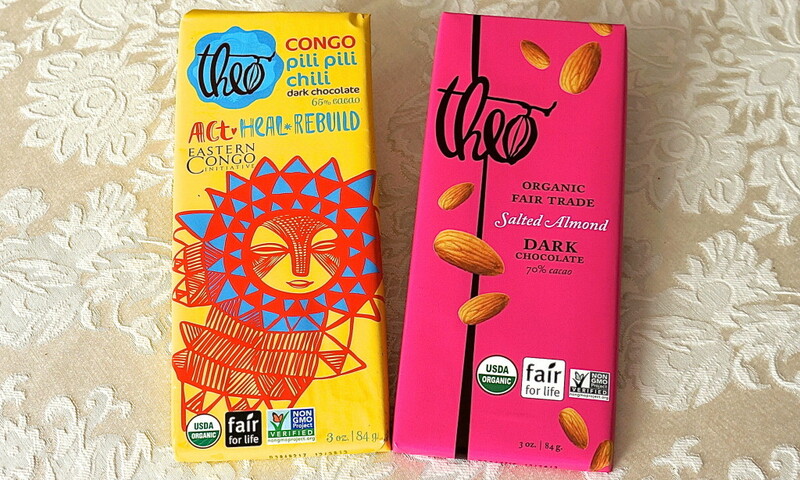 Most dark chocolates are dairy free, and those I listed in my post are both dairy- and soy-free. I also like the Taza brand. I would guess that if you do a Google search for cane sugar-free chocolate, you will likely find some brands; I haven’t tried any, so I can’t make a personal recommendation. Please note, from 2015 Puckles post: re: whole milk powder – may contain soy. Depending on a persons allergy, this is something to be aware of, as soy can be an ingredient in milk powders. Another item people often do not think of as containing soy is vegetable oil. When purchasing a product with the label “Vegetable Oil”, unless the exact vegetable(s) used are given, you may assume it is soy. Avocado oil costs a bit more, but is a wonderful replacement and great oil to cook with. Coconut Oil and Olive Oil too. Just wanted you to be aware. Have a wonderful day. Thx. Thank you for this article! I LOVE dark chocolate, and I’ve let down my guard concerning soy, just to have dark chocolate! Since there are several really good brands of soy-free chocolate, I will seek those out. Also, Pascha Organic Chocolate contains no soy. So glad you found it helpful! And thanks for the recommendation–I’m always on the lookout for great soy-free chocolate.